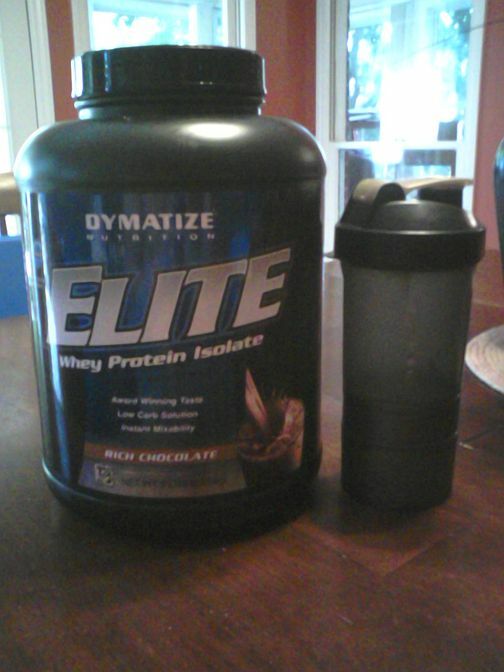 Yesterday I blogged about the diet, exercise, rest, and accompanying attitudes that are come with and result from training for the physique show. Today I wanted to share a visual of a days worth of food. (I slept in until 6 a.m. which moved my breakfast back an hour. 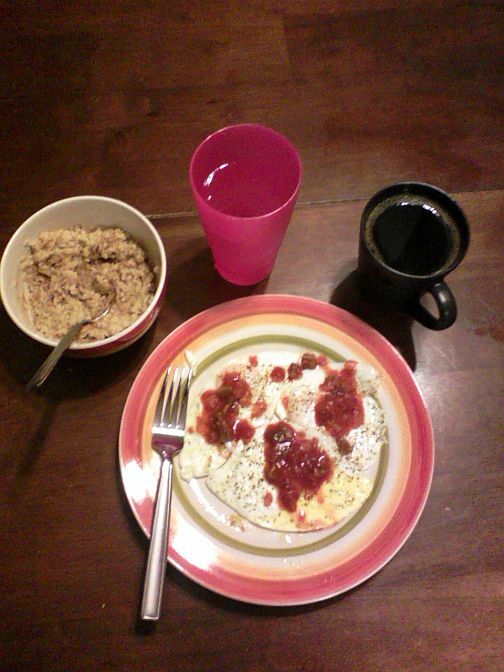 I shoot to eat within 30 minutes of waking… normally 5:30 a.m.). 3 eggs cooked in virgin olive oil with 2 tbsp of salsa. 3/4 cup of oatmeal with 1 packet of Truvia (natural sweetner) and cinammon. 1 glass of water, 2 cups of coffee, and a multivitamin. 8 oz. of grilled chicken (with Mrs. Dash seasoning to make it tasty). 1 sweet potato with 1/2 packet of Truvia and cinammon. 1 cup of brocoli. Water and coffee. I had the chance to eat lunch with my dad (who I rarely see because he drives truck), my bride and our 2 youngest girls. My dad chose to eat at Golden Corral. 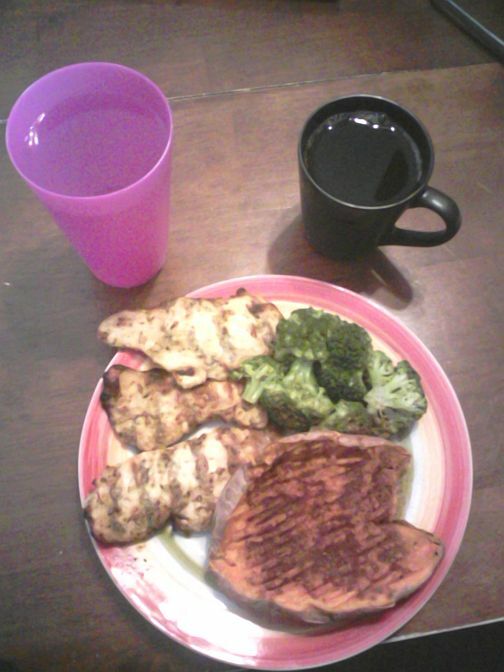 I had 8 oz of tilapia, 1 cup of greens, 1 cup of white rice, multiple glasses of water, and 1 cup of coffee. Returned home from a meeting. Had a very short turn around time before I headed out the door to my next meeting. 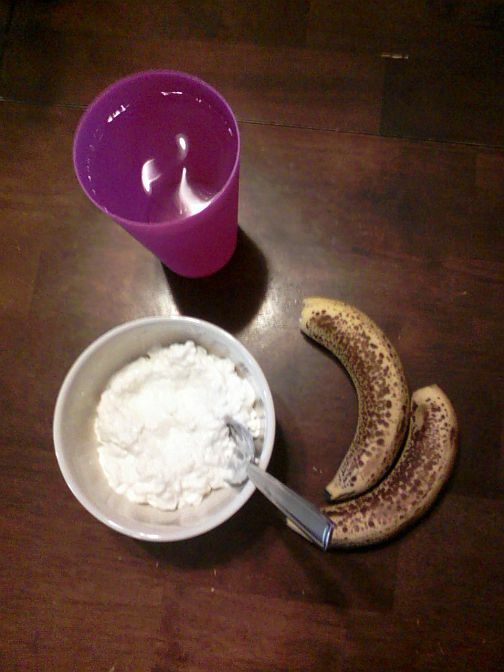 I grabbed 1 cup of cottage cheese, 2 small bananas, and 1 cup of water. 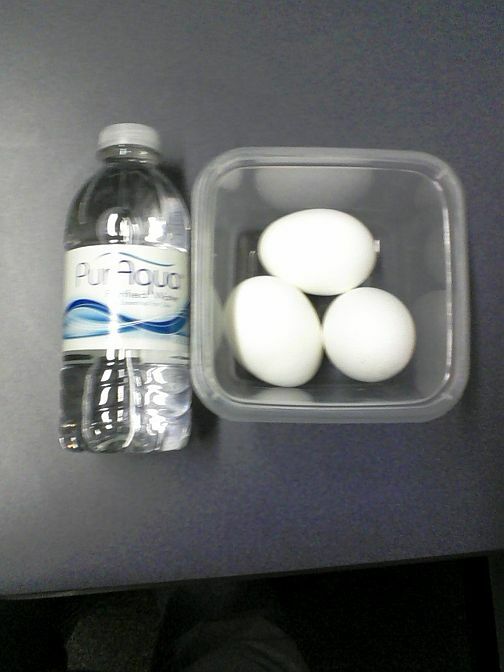 3 boiled eggs and a bottle of water. 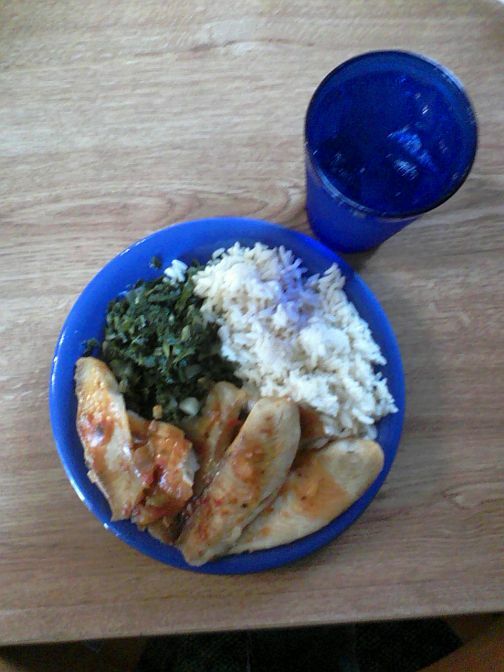 The last meal of the day is to be eaten three hours before I go to bed. I have some work to do yet so by the time I crawl into bed it will likely be close to 3 hours. 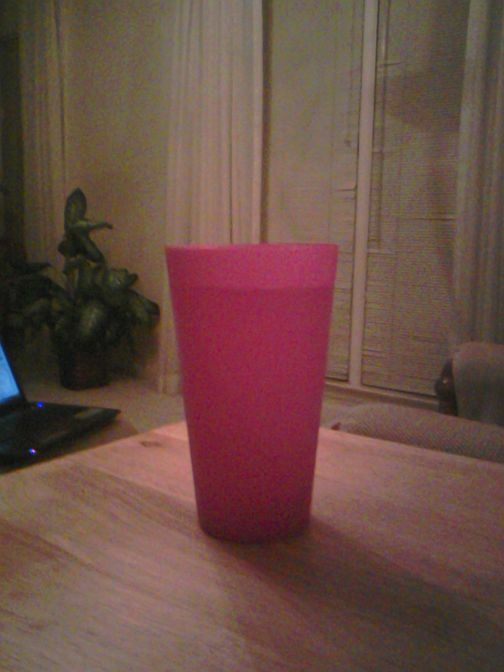 I will wrap up my day with a large glass of water… guaranteed to have me up at least once through the night!